You wanted it, you've got it! Get Yourself Speedrunning returns immediately after SGDQ 2016, bringing you 3 HUGE races with live commentary coverage, as well as comprehensive tournaments to keep the action going throughout this summer and fall. As always we've made sure to choose 3 games which we feel make excellent speedruns, and which we think will appeal to both existing speedrunners who want to branch out, and potential runners looking for a solid game idea to start out with. Goal clarification: Start by resetting console, .done on final star collect after Bowser. Rules: Skips using BLJ or Mips Clip not allowed. Any language allowed. Wii VC is allowed. Final lineup: Cheese05, Simply, Puncayshun, Biinny. Commentary provided by Snowman and Spikevegeta. Tutorial resources: Basic movement guide by Simply here and here.  Individual level guides here. Goal clarification: Start on character creation, .done on taking ferry to Act 3. Final lineup: MrLlamaSC, Teo1904, Kano, RyuQuezacotl. Commentary provided by Nightfallx2 and Golden. Note: While there is no class restriction, the Diablo 2 community HIGHLY recommends a new player use one of the following magic-based builds, and not a physical-based build. Goal clarification: Start on name creation, .done on final orb collect after Dracula. Rules: All skips and glitches allowed. Final lineup: JoeDamillio, Furious Paul, TheMexicanRunner, JustDefend. Commentary provided by Puwexil and Golden. Tutorial resources: Stages 1-3. Stages 4-7. Stages 8-B. 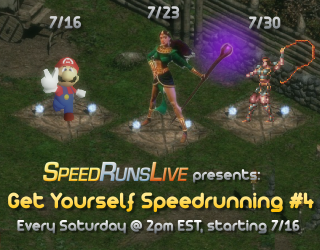 Join the Get Yourself Speedrunning races every Saturday from July 16th - 30th @ 2pm EST / 7pm GMT, and help to make them as big as possible! To help us welcome as many entrants as possible, Blizzard has graciously donated us with 25 CD-keys for Diablo 2 and its expansion! We will be holding Twitter raffles to release them, so please follow our Twitter for your chance to win! Please note: In order be eligible to win, you must have retweeted the tweet, be following our twitter, AND you must have a valid account on Twitch.tv with at least one VOD streamed. By winning a key you are expected to join the race, and so we will be checking that any winners meet this criteria. If you don't win a key but want to join the race, you can buy Diablo II and its expansion together for $20 from the Blizzard store. And of course, keep your eyes peeled for Mystery Tournament 9 coming up soon! The idea of the event is that when a player signs up, he or she submits a small set of games into a large game pool. As entrants compete in 1v1 races, they pull a game from this pool. You never know what you might get, and that's what makes it perfect for veteran and novice speedrunners alike! Information on registering for MT9 will come shortly after SGDQ 2016.